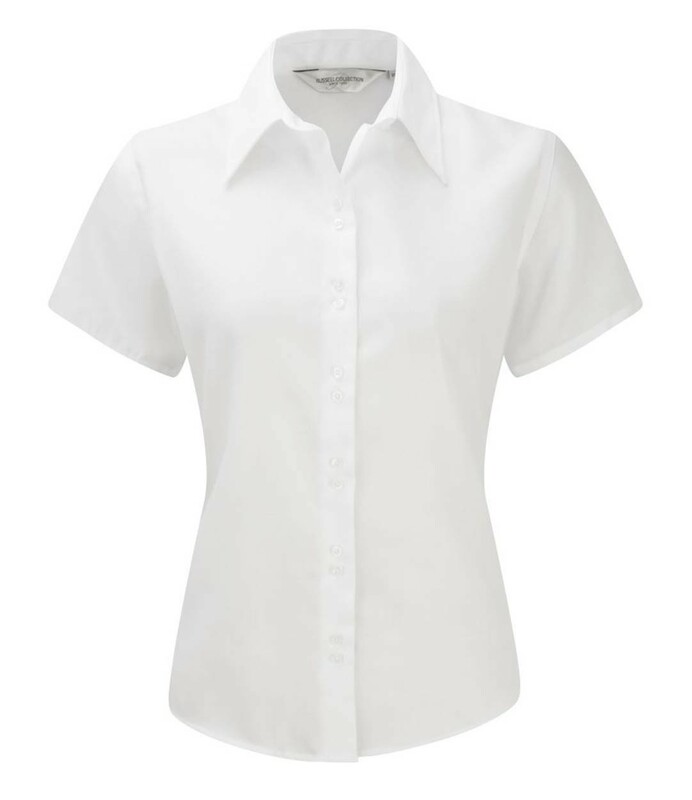 A ladies short sleeved easy care ideal for embroidery. 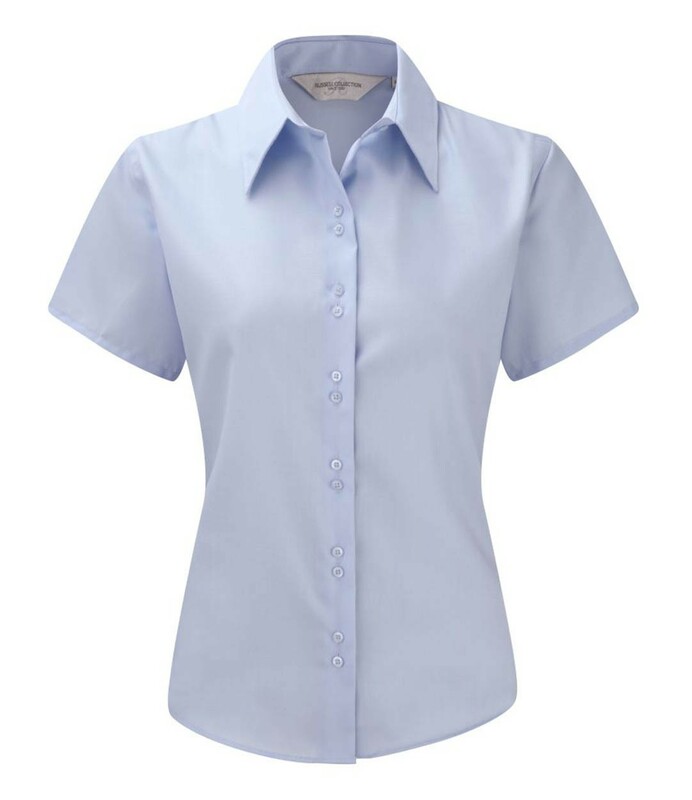 The Russell Collection 957F Ladies Short Sleeve Ultimate Non-Iron Shirt in 100% cotton micro twill. Fashionable twin button fastening. Slightly tailored fit. Matching buttons. Double turnback hem on sleeves. Curved hem. 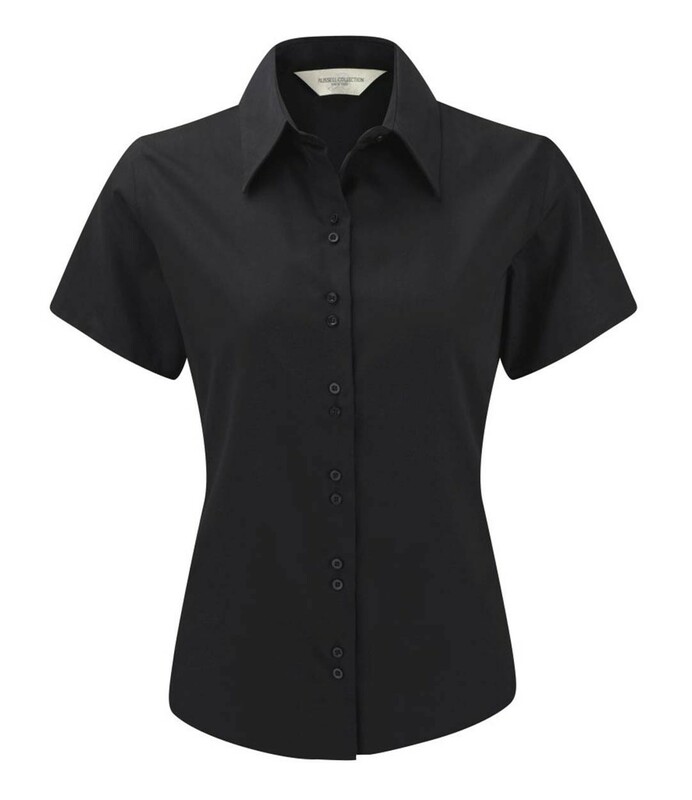 The Russell Collection 957F Ladies Short Sleeve Ultimate Non-Iron Shirt features 120 gsm fabric.